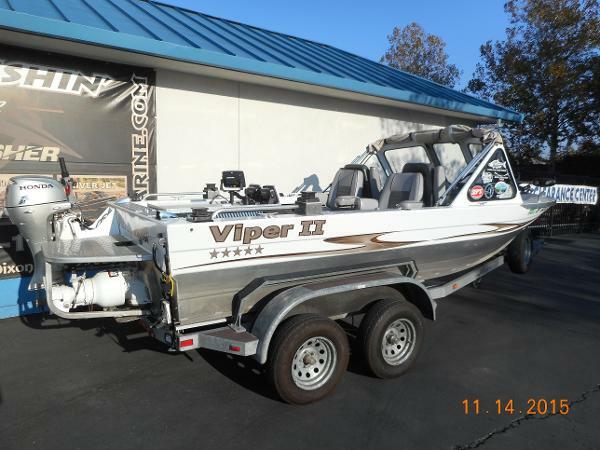 2000 Custom Weld Viper II STOCK LIMITED 2000 Custom Weld Viper II sweet fishing package!! This 2000 Customweld Viper II is a sweet deal! It only has 90 hours on it and its ready to be yours! Its equipped with a swim platform, 2 bench seats, 2 swivel box seats, RPM/OIL/TEMP/VOLT/FUEL gauges, 6 rod storage holders, a passenger console, and a full convertible canvas with a zip up back. This boat is powered by a V6 195HP inboard and has a 8hp honda kicker motor. 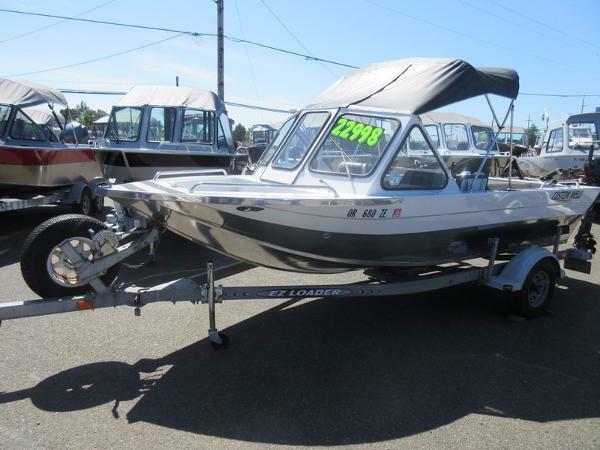 This amazing boat package comes at just $19,995! send us an email about it! Contact us today for a complete list of options, or make us an offer by clicking on the Make an Offer button on this listing! Please note that all pre-owned accessories and electronics included in the package are not guaranteed by Y Marina. Y Marina will not be responsible for replacing any pre-owned accessories or electronics that do not function properly, unless negotiated with your salesperson prior to the pre-owned package purchase. 1999 Custom Weld 17 Viper II 1999 Custom Weld 17 Viper IINice Used Custom Weld Fishing Package! 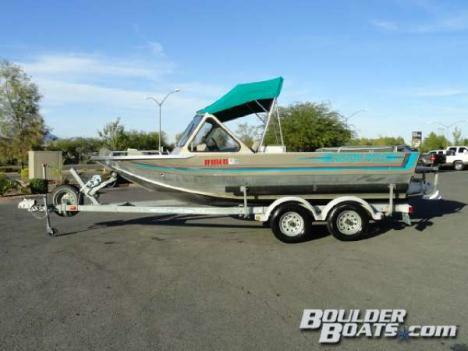 This 1999 Custom weld 17' Viper II Inboard jet is a nice inboard package. This package comes complete with a canvas fisherman’s top, swim platform, 4 rod holders and mounts, kicker motor bracket, 2 swivel seats, 2 bench seats w/ storage, rod storage grippers, and more. This package is powered by a marine power 4.3 Liter Inboard jet as well as a 2012 Suzuki DF9.9A 4-stroke kicker motor and sits atop an E-Z Loader Galvanized trailer. This package is available now for only $22,998. Contact us today for a complete list of options, or make us an offer by clicking on the “Make an Offer” button on this listing! Please note that all pre-owned accessories and electronics included in the package are not guaranteed by Y Marina. Y Marina will not be responsible for replacing any pre-owned accessories or electronics that do not function properly, unless negotiated with your salesperson prior to the pre-owned package purchase. 2000 Custom Weld 19 Viper II The VIPER II inboard is priced to fit the entry-level boater's budget. It is quick, roomy 19-foot boat that comes standard with a 4.3 V-Six Vortec engine which packs four big people and all their gear with impressive performance. Please contact the owner directly @ 208-914-3603 or [email removed]...19' 2003 Custom Weld Viper II jet boat ready for any water. Extra clean, stored inside. 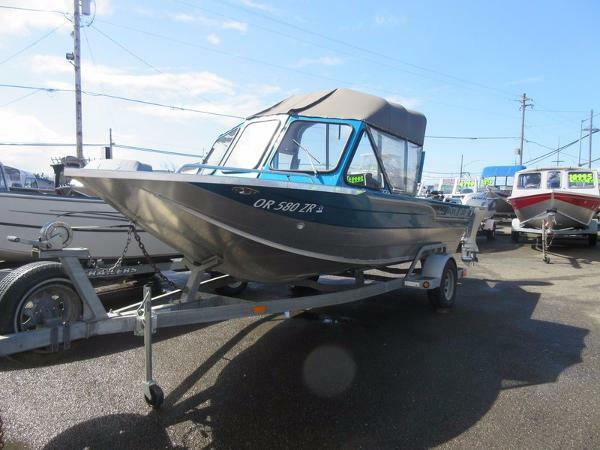 358 hours, Mercury 5.7 350 Vortec engine, 265 horsepower at the pump, EZ Loader trailer, Mankota trolling motor with foot remote, 2 Cannon down riggers, CD stereo, removable swivel seats (bow and doghouse), custom built bow travel skirt to avoid rock chip damage. Aug. '12 replaced fuel pump w/Carter low pressure (309 hours) rotary fuel pump 4-8 psi. June '13 installed Hummingbird 597 ci fish finder w/GPS-Sonar and replaced steering cable.